← Exene joins us in the Rip Cat Studios! 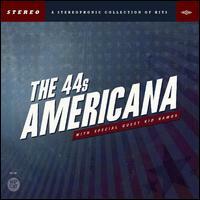 BMan reviews The 44s Americana CD! This entry was posted in Blues, New Music Releases, New Music Review and tagged Americana, BMan, New Music, The 44s. Bookmark the permalink.